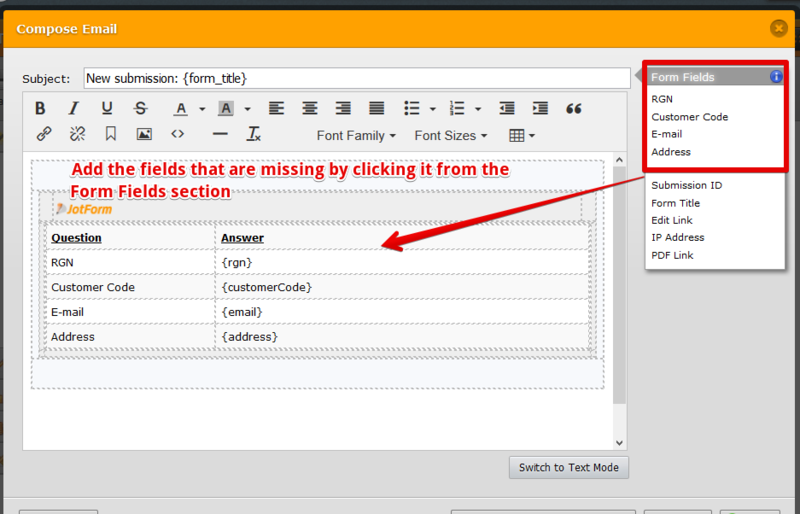 You can correct the situation by manually adding the missing field using the email editor. The fields are sometimes not added automatically if you have done extensive customization of the template. Additionally you can create a new notification and this will have all the fields automatically added.